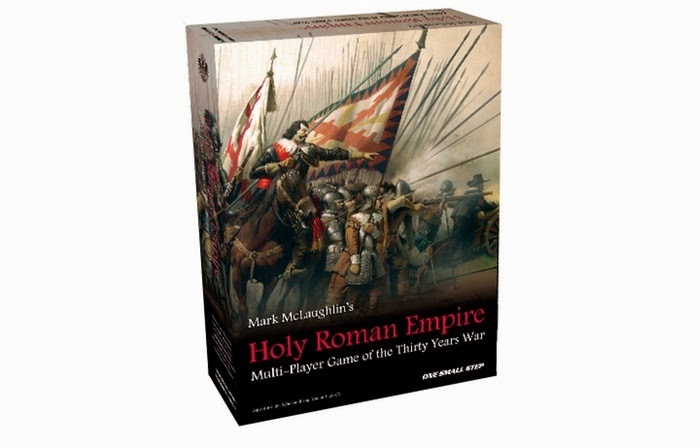 Originally published in The Wargamer Magazine, Issue 33, Holy Roman Empire (1984) by designer Mark McLaughlin has received the "calandale" treatment, which is to say that a series of very long videos giving a very in-depth look at this old school wargame is available through his YouTube channel here but I've put together my own "Public" playlist for the videos here. He has done this in time to herald a Kickstarter which has a few days left and is already funded here under the name One Small Step Games. A political and military game of the Thirty years war (1618-1648) that plunged Germany and Europe into one of this longest and most destructive wars. 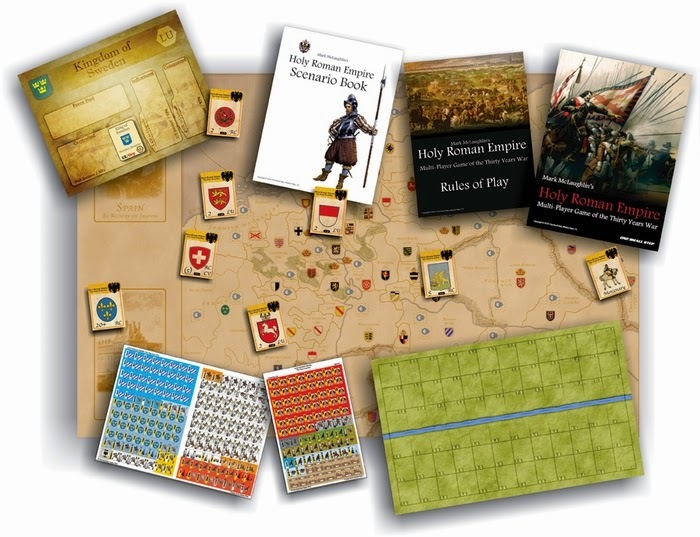 Up to six players control the major powers of the era, fielding armies, building navies and engaging in diplomatic intrigue, bribery and treachery that will decide who will wear the crown of the Holy Roman Empire and control Germany. Powers represented are Austria, Palatinat, Bavaria, Sweden, Spain and France. Game design has come a long way in the thirty years since this was originally released and it's good to see Kickstarter being used to give this game new life. 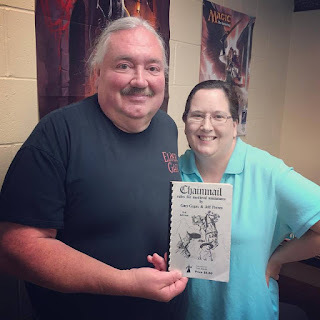 The game seems to be in good hands and I like how the whole package is being re-envisioned.